ATLANTA, June 4, 2018 /PRNewswire/ — Multiple EMMY® winning producer, social media influencer and entrepreneur Rushion McDonald, continues to drive incisive conversations and bring together powerful voices on his hit radio talk show “Money Making Conversations,” fueling the needs of anyone looking to grow their success in the challenging, diverse avenues of entrepreneurship and entertainment. Rushion delivers with a wealth of knowledge, with decades of expertise on personal brand building in direct marketing and all social media channels that will enable you to achieve your dreams in a multitude of entrepreneurial and entertainment ventures. 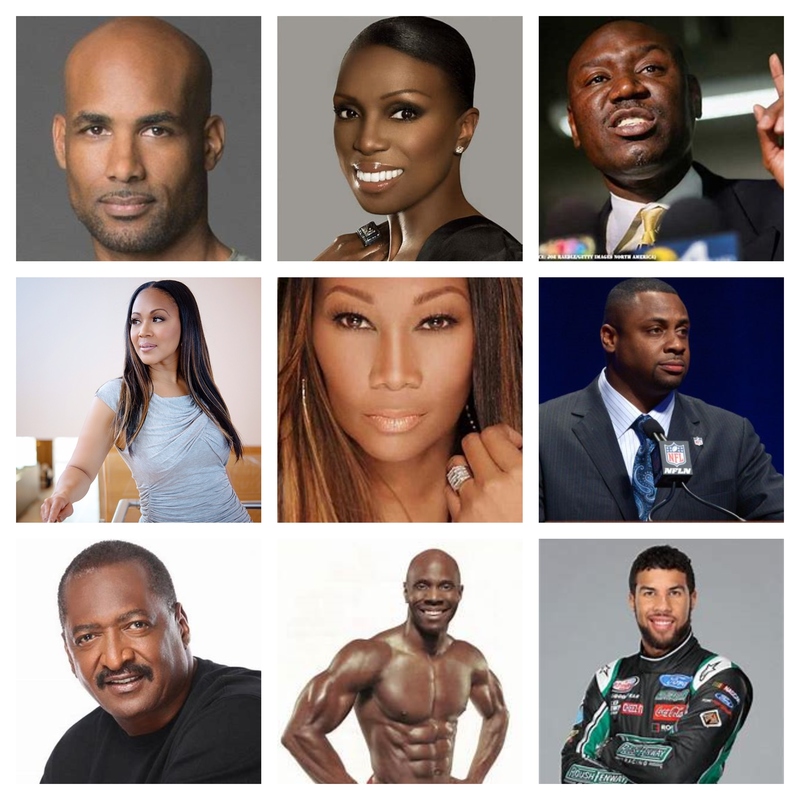 This month’s stellar lineup of guests will include self-made small business owners, educators, industry ground-breakers, entertainment and sports talents, philanthropists, authors, tech creatives, and more on “Money Making Conversations.” Hosted by Rushion McDonald and produced through his multimedia company 3815 Media, “Money Making Conversations” can be heard via iHeartRadio Podcast, Apple Music, and other major podcast platforms that generate over 250,000 listens/downloads per episode, on SiriusXM Channels 141 (H.U.R. Voices) and 142 (HBCU), and every Monday, 10 AM to 12 PM EST on Biz1190 AM from Atlanta, GA, and live on the Money Making Conversations Facebook page. Covering an array of areas from navigating career shifts to tools for realizing success, life-work wellness, and business growth, guests* expected on “Money Making Conversations” in June include: Actor, philanthropist, and star of CBS series “Code Black,” Boris Kodjoe; GRAMMY®-winning, Tony Award-nominated artist, songwriter, entrepreneur Yolanda Adams; GRAMMY®-winning artist, songwriter, host of #1 syndicated gospel morning drive radio show, Get Up!, entrepreneur Erica Campbell and GRAMMY®-winning producer, songwriter Warryn Campbell; ground-breaking NASCAR driver Bubba Wallace; acclaimed civil rights attorney Benjamin Crump; Mikki Taylor, longtime leading beauty authority and influencer for women of color, Essence Magazine editor-at-large, author; Mathew Knowles, founder of superstar singing group Destiny’s Child and Music World Entertainment, speaker, author; currently starring in the new season of Food Network’s “Comeback Kitchen,” and author, chef Jernard Wells; NFL EVP of Football Operations/former player, philanthropist Troy Vincent and chef, speaker, entrepreneur, philanthropist Tommi Vincent; former NFL player, entrepreneur Darryl Haley; #1 social media fitness expert, speaker, author and co-host of Lifestyle Magazine Obi Obadike; U.S. Small Business Administration Georgia District Director Terri Denison; Keenan Towns, Head of Influencer Brands and Diageo World Class Spirits Competition USA; Co-Founder & CEO of Kudzoo app, Forbes 30 under 30 and TEDx Speaker, education-tech entrepreneur Logan Cohen; financial expert, author Dr. Cozette White; motivational speaker/activist “Freeway” Rick Ross; podiatrist/surgeon, CEO & Founder of Fix Your Feet, Inc, Dr. Yolanda Ragland; and Lofty Bedskirts, LLC owner/designer Zina Broussard. A branding expert, renowned dealmaker, award-winning television and film producer, Rushion has written and produced for Kevin Hart, Taraji P. Henson, Mo’Nique, Gabrielle Union, Tia and Tamera Mowry, Stephen A. Smith, Jamie Foxx, and most notably he is the architect of Steve Harvey’s multi-media entertainment career. Through his company 3815 Media, Rushion McDonald remains a powerful mentor, entrepreneurial leader, and entertainment creative, showcasing unique and important voices helming content on multiple platforms including “Money Making Conversations,” Rushion’s Baker Spotlight and other ventures. He is the creator and executive producer of the docu-series “Evidence of Innocence,” his new TV show hosted by acclaimed attorney Benjamin Crump, premiering tonight, Monday June 4th at 10 pm/9c on TV One. Money Making Conversations is a weekly podcast hosted by Emmy Award-Winning Producer Rushion McDonald where he interviews celebrities, CEOs, entrepreneurs, and industry leaders on their Secrets of Success. Hear the techniques on being successful from people who are successful! Through his engaging interviews, learn how to reach your goals, find your passion, and live a balanced life. Listen to Money Making Conversations for free on the Podcasts App for iOS, iHeartRadio, SirusXM, biz 1190AM, SoundCloud, Stitcher, and Alexa.